Back from GaryCon VII – several Tekumel related gaming events and lots of people having a good time, so definitely a win! Coming up – Jeff Dee has informed the Foundation that UNIgames will be at HavenCon this upcoming weekend, April 3rd-5th, 2015, at the Holiday Inn Midtown in Austin, TX. 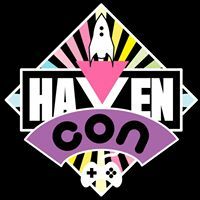 HavenCon describes itself as “The First LGBTQIA Geek and Gaming Convention of Texas” so this will be an opportunity to find more fans of Tekumel. In addition to HavenCon, other upcoming conventions include North Texas RPG Con, Celesticon, U-Con, M.A.G.E. events and GameHole Con. If you are planning on running something Tekumel-related at an upcoming convention, please let us know! Choice of the Petal Throne is coming closer! Be ready for a new text-based game for the world of Tekumel from Choice of Games. Their latest release, Hero of Kendrickstone, has been a recent hit; go check it out! Work progresses on The Man of Gold print release. After that will be Flamesong and Prof. Barker’s other novels. More cardboard minis from UNIgames are in the works! The Tekumel Sourcebook is just about ready; a new scan of the back cover is the last major item to finish and then it can be released. There will be a variety of Tekumel-related events at GaryCon this upcoming weekend in Lake Geneva, Wisconsin. Now in its 7th year, GaryCon is clearly one of the best conventions around for Old School role-playing – which definitely includes Empire of the Petal Throne. If you haven’t considered going, please go take a look at the GaryCon website and the range of events and activities going on. The dates for Gary Con VII are March 26th – 29th, 2015; pre-registration is closed, but onsite badges will be available. The Foundation is happy to report that sales of The Man of Gold have been steady since its release as an ebook one month ago. We’re also moving closer to its release as a print-on-demand book. One particular difference between the original DAW release and the latest edition is the addition of diacritical marks missing from the original paperback. You can get the ebook for Kindle, Nook, and Kobo – we’re working to release it for iTunes, as well. 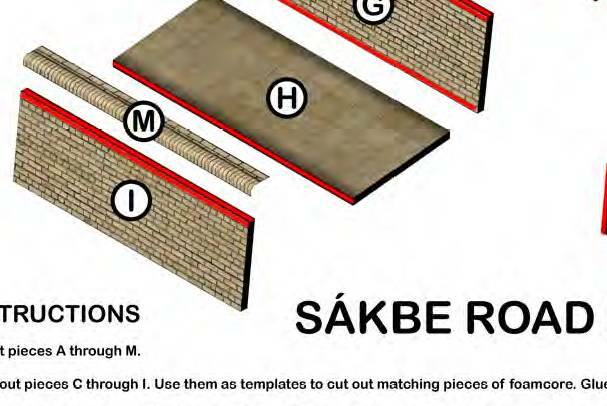 The Tékumel Foundation is very pleased to announce that three new foamcore kits have been approved for Tékumel, and are available from UNIgames, the publishers of Béthorm! In addition to the Sakbe Road, there are two buildings – The Wayhouse of the Blue Sun and a smaller outbuilding. The design of both buildings was inspired by drawings and illustrations made by Prof. Barker. In addition to the foamcore kits, another game is in the works – this time to be played on your tablet, smartphone or PC via Steam. The Foundation has been working closely with Choice of Games LLC to produce Choice of the Petal Throne; look for it shortly! We are close to a re-release of the Gamescience edition of Swords & Glory, Volume One: The Tekumel Sourcebook. The new edition will include an index, and will be available through DriveThruRPG and RPGNow. We are planning on producing the maps from Empire of the Petal Throne and Swords & Glory, and for the the Jakallan Underworld. We’re exploring the best way to make large-scale maps available for print product purchase; Jeff Dee of UNIgames has begun using Deviantart for maps for Bethorm; go check out the fantastic map of Katalal produced by Alyssa Faden! James Maliszewski has begun to produce The Excellent Traveling Volume, an informal and unofficial fanzine for the world of Tekumel. Issue #2 is now available in print format only; go get your copy today!